« Video: How can we Receive the Greatest Blessings? 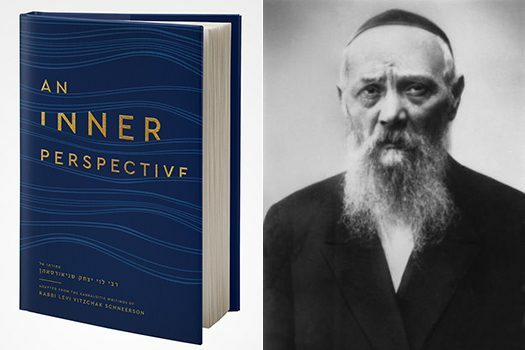 Coinciding with anniversary of the passing of R. Levi Yitzchak Schneerson, the father of the Rebbe, Kehot Publication Society has just released “An Inner Perspective,” a book based on his Kabbalistic writings. Inline with the Rebbes request that his teachings be studied on the yohrtziet Kehot released one essay here, in the Extended Article. R. Levi Yitzchak’s works on Torah, Talmud, and Zohar, bring forth new layers of interpretation, parting a curtain to reveal the dazzling radiance of Torah on its esoteric level. 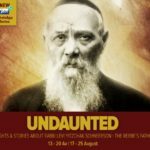 A profound Torah scholar who served as the rabbi of the Ukrainian city of Yekaterinoslav, he is said to have composed thousands of pages of original Torah thoughts and discourses. The bulk of these writings are considered lost during the tumultuous war years, and extant today are only those he penned on the margins of the few books he had during his final years, while in exile in Chi’ili, in far-off Kazakhstan. 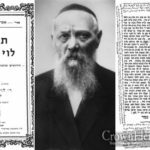 More than a decade after R. Levi Yitzchak’s passing in Alma-Ata in 1944, these writings were brought to the United States, where they reached his illustrious son, the Lubavitcher Rebbe. 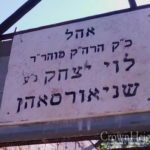 In the 1970s, they were published in five volumes under the titles of Likkutei Levi Yitzchak and Torat Levi Yitzchak, and the Rebbe began regularly expounding on these terse glosses at his public addresses. In 1990, a new series, entitled Torat Menachem Tiferet Levi Yitzchak, began appearing in print which contains some of these elucidations on his father’s glosses. Three volumes have been published to date. Comprising sixteen essays, the present work was adapted by Rabbi Eli Block from R. Levi Yitzchak’s original works as well as from the Rebbe’s elucidations. The Rebbe has requested that his father’s Torah writings be studied on his yahrzeit. Kehot is pleased to present one essay for study.